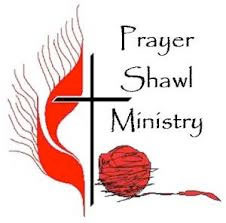 Every Thursday morning from 8:00am-11:00am, members gather in fellowship to construct a shawl to be given to someone in need of strength and comfort to face the emotional, health and spiritual challenges in their lives. While their fingers knit, crochet or embroider, prayers are offered for the recipient of the shawl. Our clergy then blesses these shawls or a parishioner may be presented one upon receiving the Sacrament of the Sick. Once a person receives a shawl, members continue to pray for them. Anyone is welcome to join this ministry. Donations of yarn would be greatly appreciated. Call the church office for further information.